The Sony Xperia XA Ultra Dual SIM smartphone is a state of the art device that is equipped with an assortment of exciting, innovative features. This phone incorporates an Octa Core processor that help enhance your productivity. Its runs on Android Marshmallow operating system that is much sweeter than Lollipop and comes along with a host of apps, programs, and features. A 6 inch touchscreen displays crisp and clear visuals at stark resolutions. 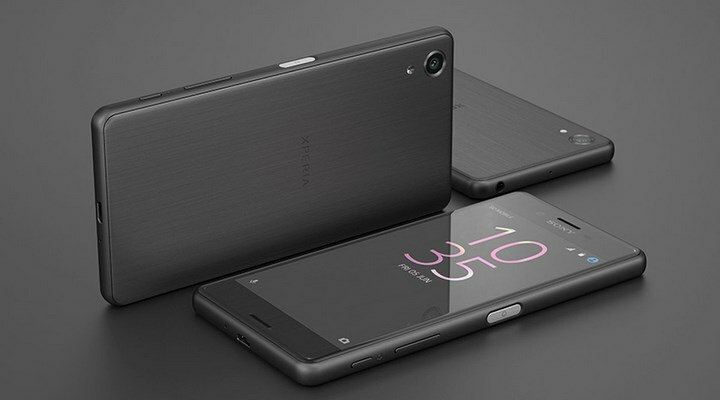 A massive 3GB RAM is included in this Sony Xperia mobile, which executes all your operations and applications with efficiency. Feel free to store all your favorite content on this device, as it is endowed with a 16GB ROM. The phone fits in a powerful 2700mAh battery that delivers up to 2 days of charge when powered completely. This 4G LTE enabled phone assumes a sleek look, in a proprietary black finish. The Sony Xperia smartphone is installed with the advanced Android Marshmallow operating system. It helps you increase your productivity with its cutting edge features. The OS offers spot on answers to your commands, provides multiple shortcuts to make work easy, and delivers a handful of information with just a single tap. It equips better battery management features and saves the charge for things that matter that most. Features like Doze automatically puts it into a sleep state, so you can still set off your alarm in the morning, even if you forget to charge it. This OS also restricts the need for giving permission to apps to access your data for better security reasons. It supports a fingerprint sensor that lets you securely breeze through sign in formalities, the Play Store, and even unlock your device. This Sony Xperia mobile delivers a speedy performance with the powerful Octa Core processor. This processor provides enough power to allow easy multitasking. You can discharge a multitude of tasks and operations without interruptions on this phone with a 3GB RAM module. The Sony Immersive E mobile features a large 6 inch screen that produces crisp and sharp visuals. The screen also offers perfect edge to edge viewing as it is encased in a slim frame. This Sony XA Ultra smartphone supports WiFi and 4G LTE that facilitates speedy wireless Internet connection. It also features a USB port that allows you to connect the device to a laptop for data saving and transfer. The Sony Xperia smartphone's Bluetooth allows you to connect it to other Bluetooth enabled devices and transfer data back and forth wirelessly. Plus, with NFC, your sharing experience gets much faster and safer. The Sony Xperia XA Ultra boasts a 16MP low light front camera that lets you snap the perfect pout. Its low-light sensors get you sharp, bright, blur free shots every time. Also, the 21.5MP rear camera with fast launch and Hybrid Autofocus lets you freeze the action in a bright, blur free manner. Its support for OIS compensates for hand shakes. You can use the Screen mirroring feature to show the screen of your device on a TV or other large display without using a cable connection. Wi-Fi Direct™ technology creates a wireless connection between the two devices, so you can sit back and enjoy your favourite photos from the comfort of your couch. You can also use this feature to listen to music from your device via the TV's speakers. Order the Sony Xperia XA Ultra​ today and have it delivered to your doorstep within 1-3 working days or same day delivery within Nairobi. Payment on delivery.